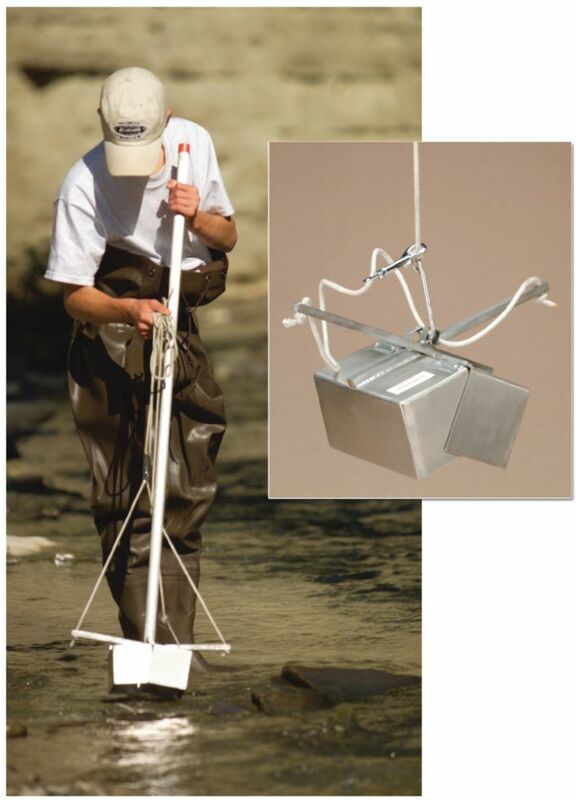 A nearly indispensable tool for sampling hard and soft bottoms, this medium-weight benthic dredge is as easy to use as it is effective. Simply lower the sampler into the body of water and pull up on the included line when it strikes the bottom. You can also use the included sampling pole, which attaches to the trip mechanism, so you avoid getting wet. The durably constructed instrument features stainless steel scoops and a large, easy to handle hinge pin. Advanced features ensure a complete sample — a center pivot closure avoids distortion and the side plates prevent the loss of pebbles. The sampling pole attaches to the trip mechanism for shallow water sampling. Capacity: 1.2 liters. Size: 43 1/2"L.